This is one of the finest books written about the Australian Alps. Self published by Harry Stephenson in 1982 and long out of print, this compilation of essays about the development ok skiing in Victoria is exhaustive. Coming in at almost 500 pages, it must have been a massive effort. It is an incredible cultural history of skiing, based on a series of stories and recollections from key players in the development of skiing in the state. While we are generally offered a cattle grazing heavy history of the Alps, this book fills in details on some of the other actors in the early days of European settlement. It’s various chapters cover the developments at key mountains across the state, from Buller and Hotham to Donna Buang, where skiing was popular in the 1920s. It doesn’t neglect wilder and more distant areas like Bogong or Mt Howitt. And it is inter-spaced with fantastic photo galleries by a range of photographers. There is a review available here. Mountain bikers are getting set for the biggest event on Mt Buller’s busy calendar, the Bike Buller MTB Festival Presented by Orbea on March 7-9. Taking place over the Victorian Labour Day long weekend on Mt Buller’s world-class trails, the Bike Buller MTB Festival will see riders enjoy a jam-packed three days of mountain biking and festival fun at the popular Picnic in the Park food, wine and music festival at Mirimbah Park. The festival is an ‘all mountain’ event, held across Mt Buller’s world-class cross-country, endurance and downhill trails, and suitable for riders of all abilities and disciplines. 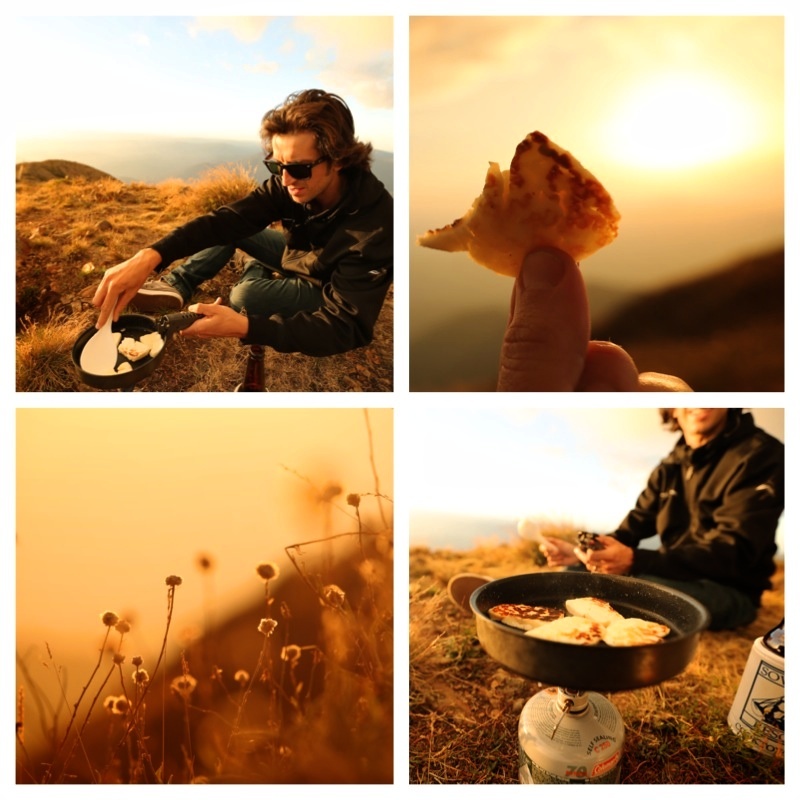 Run by event management company Rapid Ascent, the team behind the Giant Odyssey, Salomon Trail Running Series, Surf Coast Century and a number of other iconic adventure events, the 2015 Bike Buller MTB Festival presented by Orbea has a massive 14-event schedule with a diverse range of mountain bike races, kids’ events and even a trail running component. And if you’re up on Mt Stirling, make sure you drop in to the Epicenter for a coffee or some food and support this great mountain business. 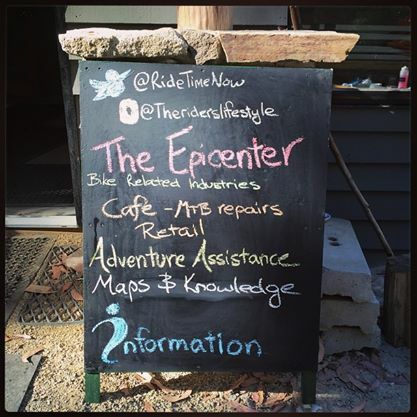 The Epicenter is a great new cafe, opened in December 2014, that’s operating out of the ski school building at Telephone Box Junction on Mt Stirling. The Epicenter has a strong focus on mountain biking, and will be open throughout summer and autumn, then for the snow season as well. Along with Mountain Kitchen at Dinner Plain, this new operation is a stand out amongst alpine cafes: it’s small scale and friendly, with an authentic feel and commitment to adventure and mountain living. Co-owner Hjalmar Arnold (Yully/Dingo) describes it as “the Riders Lifestyle in a shop, year round” and “the Gateway to the Alpine Backcountry”. There is no doubt that the MTB trails developed in recent years on Mt Buller and Stirling are some of the finest in the country. Yully helped build them, and is a great source of knowledge for first time riders. They have great food, much of it made on the premises, and excellent coffee. Please drop by and support this great initiative. There are additional renovations going on to extend the facilities at TBJ, which will be ready for winter 2015. For background on the road proposal, check here. The following update comes from Clay Lucas at The Age. A move by the Napthine government to decide behind closed doors the fate of a controversial new road linking Mount Buller to Mount Stirling could be the first step in the development of the mountain as a new ski resort, a conservation group says. 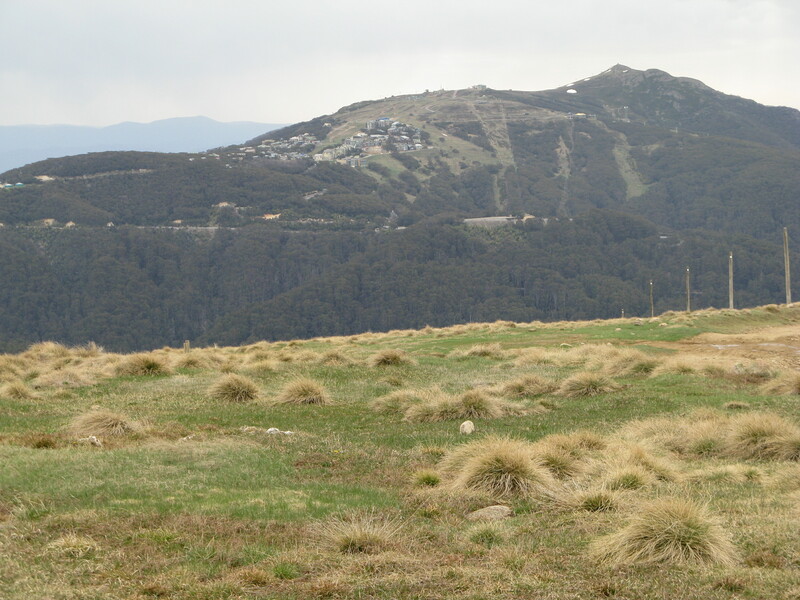 Environment groups fought a long-running battle with property heavyweight Rino Grollo from the 1980s over his ultimately withdrawn plans to develop Mount Stirling as a downhill skiing resort. Mt Buller is already over developed. Is the road part of a plan to see similar development on Mt Stirling? In 2008, the Mt Buller and Mt Stirling Alpine Resort Management Board applied for permission to build a road through old growth alpine ash across the north side of Corn Hill from Mt Buller to Mt Stirling. This was ostensively to provide a route for people to escape the mountain in the case of a fire blocking the main road. However, it would pass through a considerable area of dense forest and then across to Mt Stirling, which then requires a long drive down to the Delatite River, where the existing Buller road emerges from the forest. If there is a major fire burning out of the Delatite Valley across the northern side of Buller it is hard to see how a major evacuation would work above the same area of forest. It would be a huge financial investment for a road that would probably never need to be used. A much cheaper option would be to ensure the community gathering site on the mountain contains a fire refugee able to withstand an intense fire. So, is there something else going on? The Victorian National Parks Association (VNPA) believes the real intent is to make it easier to build accommodation on Mt Stirling because it would greatly improve vehicle access to the higher sections of the mountain. The VNPA says it would just require a ‘simple amendment’ to the current planning scheme to allow development. The road was knocked back several years ago, but now the resort is trying to gain approval again. There have been various attempts to develop ski resort facilities on Mt Stirling over the years, and this has long been resisted by many in the community. Mt Buller is already heavily developed, and Mt Stirling provides opportunities for cheaper, lower impact winter and summer recreation. It has recently seen the development of major mountain biking trails, and provides access to walkers, skiers, 4 wheel drivers, and horse riders. The VNPA is tracking this issue. Check their website for updates. Flow magazine is a great local mag that covers the mountain biking life. The following is from the introduction to their recent story on mountain biking at Mt Buller in Victoria’s high country. Decoding Will’s particular blend of babbled enthusiasm, I know that the Delatite River Trail has lived up expectations and has left him, as we promised, as frothy and shaken up as any good vanilla ‘shake should be. Thinking back to my first ever run down the Delatite, I can recall how he must be feeling – the manic speed of it all, the stomach clenching fear as you get off the ride line and big rocks start flicking your wheels about, the disbelief at just how long it keeps it on descending. And finally a mixture of relief at having survived unscathed, and desire to just do it all again RIGHT NOW. 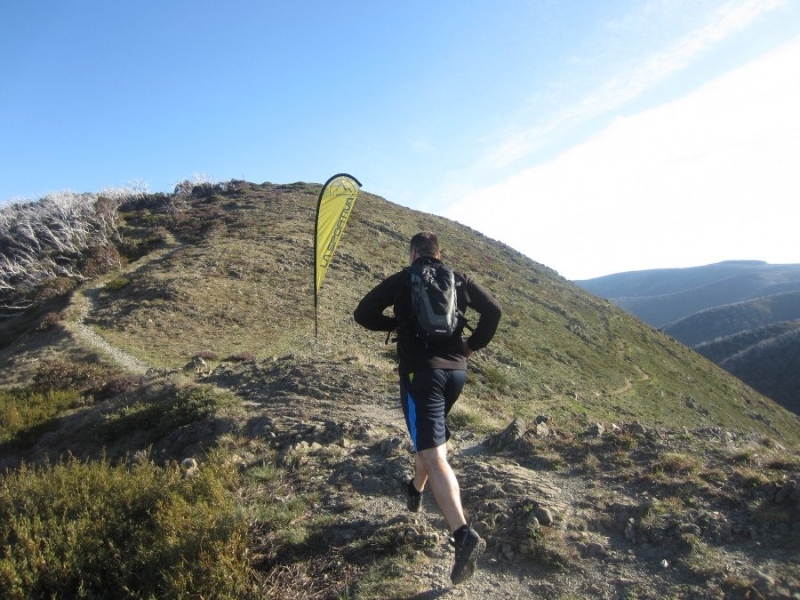 Running Wild organises trail runs in some of Victoria’s most spectacular mountain country, including Feathertop, Mount Buller, Lake Mountain, as well as the 160km long Alpine Challenge, which is a major fund raiser. Our motto is great runs – great places – great people. We do not run “races” as such, we are about the running experience, enjoying the country, experiencing what nature has to offer – weather, terrain and your ability to push yourself and get to know your body and your limits, and the social experience. That is what running and wild running is all about, however if you want to run fast and race, that’s fine too. They are organising some new runs in 2014: the ‘Vertical K’ Series, the Victorian Mountain Running Championships and the Mount Buller Mountain Running Festival. The Alpine Challenge is especially impressive: it covers ‘some of the best, hardest and most exposed high country in Australia including Mt Feathertop, Mt Hotham, The Fainters, Spione Kopje, Mt Nelse and Victoria’s highest mountain, Mt Bogong’. Their 2014 season of runs starts in early February.